Instances in fly tipping accross Fife have increased by a third in just three years. The increase in fly tipping across the Kingdom is down to “Lazy” Fifers and not the reduction in opening times for recycling centres. That the view of a leading councillor after new figures confirm a 35 per cent increase in the number of instances of fly tipping in just three years. The number has lept to 4233 in 2018/19 compared to 3134 in 2016/17. 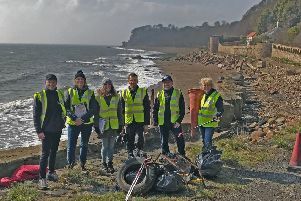 However, Cllr Ross Vettraino, Fife Council’s convener of the environment, protective services and community safety committee, said that it was the dumping of domestic rubbish rather than commercial waste that was the problem. There has been a spike in the instances in illegal tipping across the Kirkcaldy area in the last 12 months, with areas such as Heatherywood close to Redhouse roundabout considered the most blighted hotspot for dumping in Fife. The increase has been described as worrying by Cllr Tim Brett, Liberal Democrat group leader in Fife. “The council needs to take robust action against anyone found doing this and also take action to clear up fly tipping when it occurs as quickly as possible,” said Mr Brett. Responding to the concerns Cllr Vettraino said: “I am hopeful that the new mapping technique will improve the performance of the Council’s environmental enforcement resource, but prosecutions will still depend on being able to identify those who are dumping. And Cllr Vettraino hit out at those responsible for blighting communities. “Every person in Fife has reasonable access to the sites, but simply will not use them, because they either don’t care about the environment or are too lazy!